Former British Prime Minister Tony Blair. Photo: Reuters / Ronen Zvulun. Labour and its current leader Jeremy Corbyn have been beset by antisemitism scandals since he took the helm of the party in 2015. The issue reached a head earlier this year when Labour declined to adopt the International Holocaust Remembrance Alliance (IHRA) definition of antisemitism, and Corbyn himself was revealed on video to have made antisemitic statements. All three top Jewish papers in Britain printed a shared editorial calling Corbyn an “existential threat” to the Jewish community. 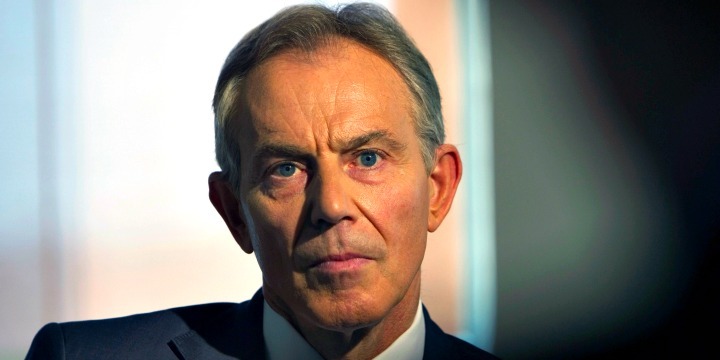 Blair partially attributed Corbyn’s antisemitism and anti-Zionism to his overall worldview. “Antisemitism is one aspect of what is a deeper problem with the politics of Jeremy Corbyn and the people around him which is sort of a visceral anti-Western position,” said Blair. Blair’s successor as prime minister, Gordon Brown, also recently spoke up on the issue, telling a Jewish Labour Movement conference that the party must support “unanimously, unequivocally, and immediately” the full IHRA definition of antisemitism.